From January, the UK is radically expanding the UK government's footprint in Ghana by ten per cent, with new frontline policy work on trade, trade policy, investment, defence and more. 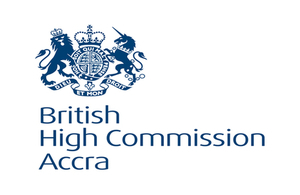 The UK has set out a new and distinctive offer to further its partnership with Ghana. This new agenda kicked off with the launch of the first UK-Ghana Business Council, a government-to-government initiative that unlocks barriers to trade and investment. The first ever UK-Ghana Investment Summit brought over 50 UK companies to Ghana to discuss over £1 billion in trade and investment opportunities and to build links with local partners. These engagements - and others - were supported by an extraordinary flow of senior UK government visitors including: Harriett Baldwin MP, the Minister for Africa; Baroness Fairhead, the Minister for Trade and Export Promotion, Lord Ahmad of Wimbledon, and the Prime Ministers Trade Envoy. To cap off the year, Ghana hosted two overlapping Royal Visits, a phenomenon anywhere in the world. Firstly, Ghana welcomed His Royal Highness The Earl of Wessex for the Head of State Awards International Forum. Then followed by Their Royal Highnesses The Prince of Wales and The Duchess of Cornwall, a 5-day visit that will be remembered as a high-water mark in the UK-Ghana relationship and a celebration of the energy, values, and the people that define this very modern, dynamic partnership. As demonstrated by the British Prime Minister during her ground breaking visit to the African Continent - there has been an emphatic shift in our strategic approach to Africa. In 2019 our partnership with Ghana will go up a gear, again. From January, we are radically expanding the UK Government’s footprint in Ghana by ten per cent, with new frontline policy work on trade, trade policy, investment, defence, serious & organised crime, cyber security, infrastructure, climate change, illegal wildlife trade, and a new Diaspora office to support the 250,000 Brit-Ghanaians in the UK, and many more in Ghana. These new jobs - as well as new posts in corporate roles in estates and transport teams - will support the UK’s ambitious partnership with Ghana as we leave the EU, support the delivery of His Excellency President Nana Akufo-Addo ‘Ghana Beyond Aid’ strategy and the UK’s vision as Ghana’s partner of choice, and invest in Ghana’s role as the regional leader across West Africa and the Commonwealth. Just as the UK-Ghana relationship is built on the strong ties between our people, the UK’s team in Ghana is defined by the exceptional staff that are leading this work. I’m delighted to announce these new positions, which demonstrate the step-change in the bilateral partnership. If you want to be a part of this exciting new future and have the skills to unlock our shared ambition for Ghana, then we want to hear from you!